Parkesburg Private Chapel - Stained Glass Inc. 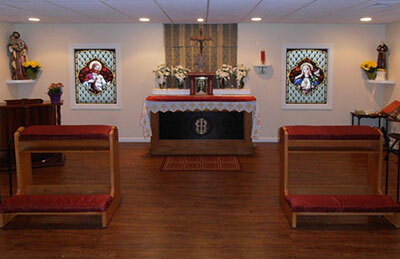 Religious art is essential in making a chapel feel like a peaceful, holy place to worship and pray. Color and lighting affect the mood and setting in any room and stained glass can contribute to a harmonious, fervent atmosphere. 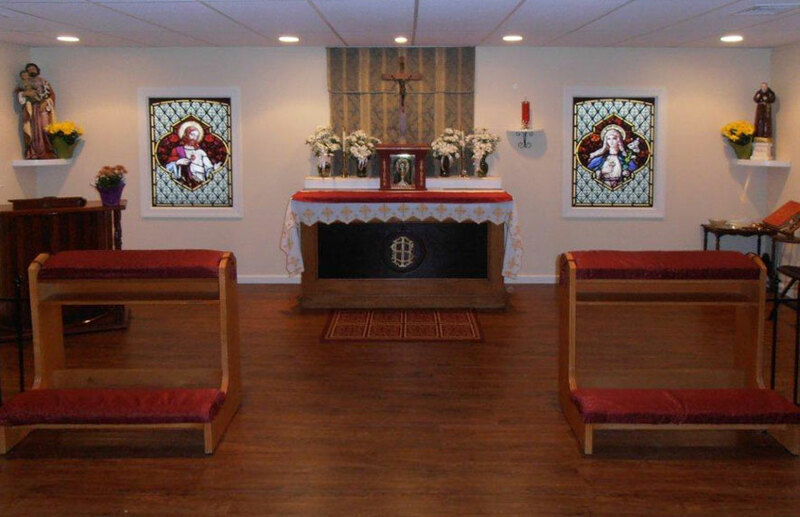 Stained Glass Inc. was contacted to custom create two stunning stained glass window inserts for a chapel in Parkesburg, PA. One of the window inserts features a hallowed Jesus with the Sacred Heart and the other is a similar rendition of the Holy Virgin. The 44"x32" window inserts, provided by Stained Glass Inc., fit perfectly and beautifully into the chapel's existing windows. To make sure that the inserts would flawlessly fit, Stained Glass Inc. got precise window measurements from their client and made the panels slightly smaller so that they would easily slip in without any problems. Besides being happy with the look she was also more than satisfied with the customer service and help she received. Thank you for all your help with making this happen!